There’s good eating in Thailand. Really good. So good that I have dreams about it. Regularly. And I wake up with drool on my pillow and the strong desire to hop on the next plane to Thailand because only authentic Thai food will satisfy my craving. 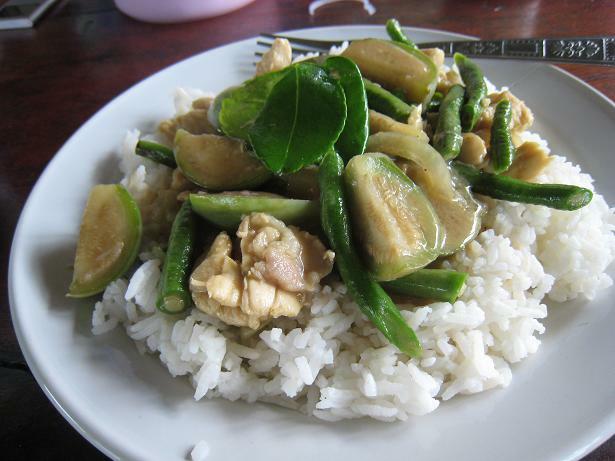 I’ve tried to recreate the dishes I ate in Thailand and I’ve tried to find equally good versions on menus of restaurants here but nothing compares. Not only is Thai food in Thailand amazing, but it’s also cheap. 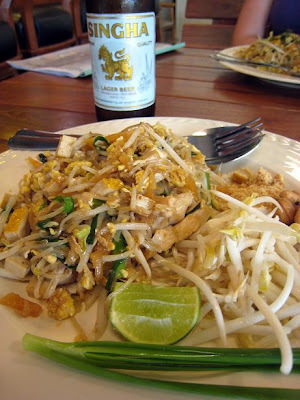 The best Pad Thai I’ve ever eaten in my life cost me less than $1. It was from a street vendor that was recommended to me by a local. It was the type of place that my travelling companions usually would have passed by without a second glance but under the guidance of a friendly Thai, they were convinced to give it a try. I can’t thank him enough for his suggestion. 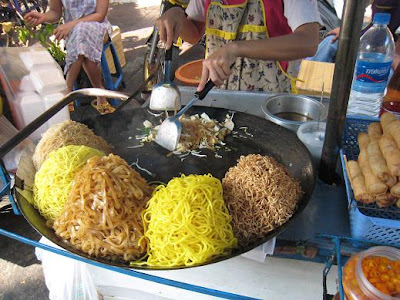 We returned to that nondescript street stand with multicoloured plastic tables and chairs many times afterwards as we determined that Pad Thai was perfectly suitable not only for dinner or lunch but breakfast and snacks as well. Just thinking about it now is making me hungry. But Thailand is so much more than just Pad Thai. 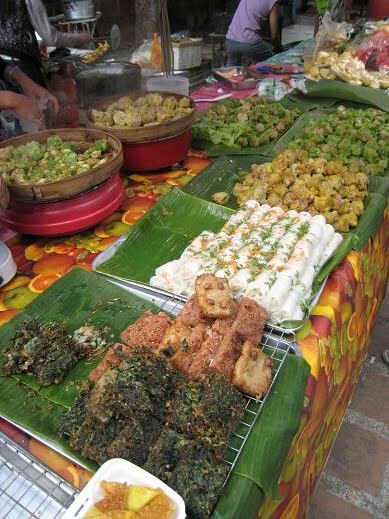 It’s a beautiful array of spices and herbs and curries and rice and noodle dishes. It’s chilis and lemongrass and coconut milk and sweet, sour, hot and spicy all rolled into one. Nowhere is this more evident than in the markets where my mouth watered at every turn. I found the best way to navigate was by sense of smell and to follow your nose à la Toucan Sam, (anyone else remember those Fruit Loops commercials?). Once I’d found the source of whatever smelled good I would just point to it and say please. Often times I had no clue what I was eating, only that it tasted good and that’s all that mattered. To spur my appetite even further, I found that wandering the market with a Chang beer in hand was a good idea. With an alcohol percentage of 6.4%, plenty of food was required with each Chang that was consumed. Posted by Brilynn at 5:19 a.m. Yes, indeed, those little out of the way places (or right there in the way on the side of a busy road) are so often where the best food is. I've only been in Thailand for a couple of hours (layover between planes) and I had THE best green curry chicken - at the Bangkok airport cafeteria. Where else in the world is airport food good and not disgracefully expensive?